What’s better than one joey? 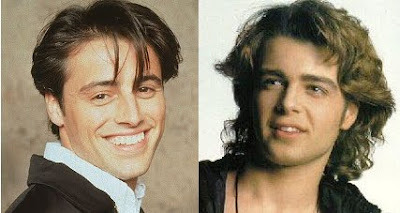 Two joeys! No, not those Joeys. We’re talking baby marsupials! We’re excited to have had two little joeys born at our Australasia exhibit. Our 5-month-old, red-necked wallaby joey is just starting to peek out of its mother’s pouch, and our newborn wallaroo joey has not been seen yet but will start to emerge in June or July. 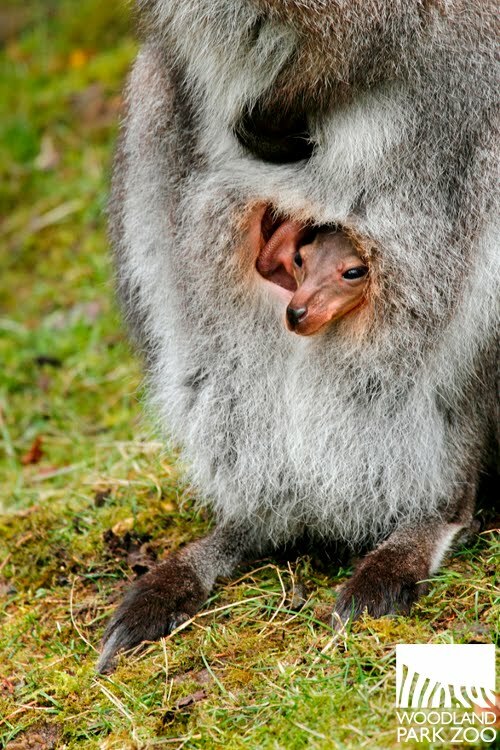 Wallaby joey in its mother’s pouch. Photo by Dennis Dow/Woodland Park Zoo. 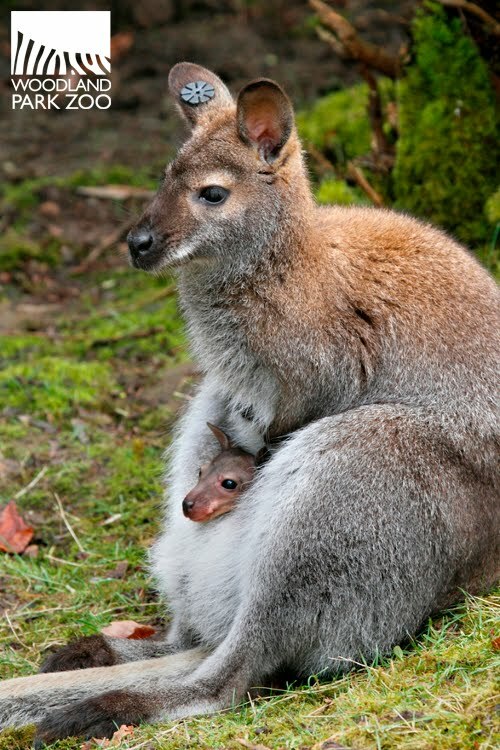 This is especially exciting news for us as it marks the first wallaby joey born at Woodland Park Zoo, part of our work with the Association of Zoos & Aquariums’ collaborative Species Survival Plan breeding program. If you come by to look for the wallaby joey, you’ll want to have a bit of patience and a little luck on your side. You’ll be looking for the joey in the pouch of 3-year-old, first time mom Kiley. You can tell her apart by the orange tag on the front of her right ear. You can identify Kiley by the orange tag on her right ear. Photo by Dennis Dow/Woodland Park Zoo. Be prepared—Kiley can be quite shy. She tends to hide behind a row of bushes but occasionally ventures toward the front of the exhibit. Look for the curious little joey sticking its face, arms and feet out of the pouch. We don’t yet know the gender of the wallaby joey and the tiny thing is estimated to weigh just over a pound. The wallaby joey has been seen poking its face, arms and feet out of the pouch. Photo by Dennis Dow/Woodland Park Zoo. 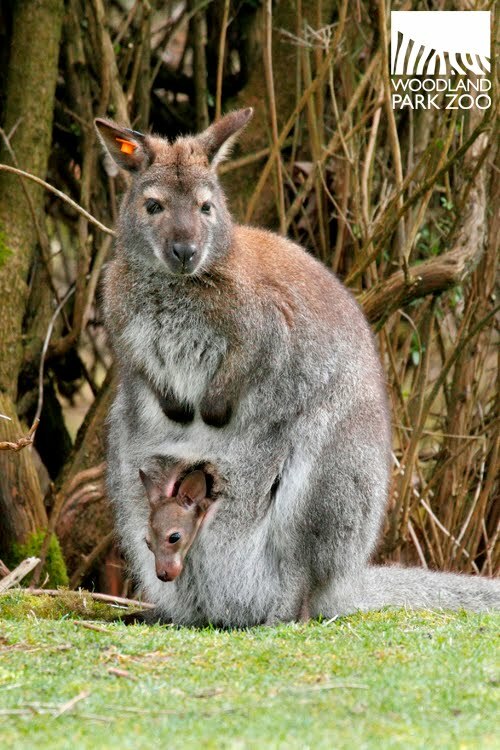 At only 5 months old, the wallaby joey remains in its mother’s pouch where it suckles and grows in warmth and comfort. That pouch offers a lot of security to a joey that is born blind, hairless and the size of a bean! It’ll be another two to three months before we see the wallaby joey hopping around outside of its mother’s pouch. The other joey—the wallaroo—won’t be seen until it gets a little bigger and starts to emerge this summer. But we’ll be sure to post photos as soon as we spot the little one! Beyond breeding at the zoo, we also play a role in marsupial conservation in the wild with our flagship conservation program, Woodland Park Zoo's Tree Kangaroo Conservation Program. Learn more about our work saving endangered tree kangaroos in Papua New Guinea here. So cute, I am glad that he or she is thriving. Hope to see more little ones in the future. Great job? I can't wait to go see the joeys and ask "how you doin'?" !! Awesome! So darling . . . can't wait to see!